The Library closes when the University closes. While we will attempt to place a notice on the library website and send out notices via social media, notices on the University pages, social networks, and emergency notification system are the official announcement. This fall semester History 150 students examined the life and legacy of Ernesto ‘Che’ Guevara (1928-1967) within his historical context through a variety of readings written both by him, scholars, and individuals who knew him. Guevara’s experiences, in particular, his interactions with some of the less fortunate peoples in Latin America, deeply shaped his world view and would inspire him to take revolutionary action. His seeming absolute commitment to revolution in Latin America and beyond helped make him a hero and inspiration to many during his lifetime. These same traits earned him many detractors, especially amongst those who wished to maintain the world order of the time. In death, Guevara’s force as a symbol of steadfast commitment to justice and equality or to revolution and mayhem, became more powerful. Indeed, his image has arguably come to be a universal symbol of revolution that seemingly a wide variety of social movements globally utilize in a plethora of ways to express their commitment to social, economic, political and/or cultural change. For their final projects students constructed their own Artist Books that provided a visual and narrative reflection on Guevara’s life and legacy. Come explore Buley Library STEAMLab (Science Technology Engineering Art Math)! There are regular events during the semester and everything can be seen by appointment. Most events held in the makerspace area on the Ground Floor. Check our Twitter and Facebook feeds for exact events and times, or ask about arranging an appointment. 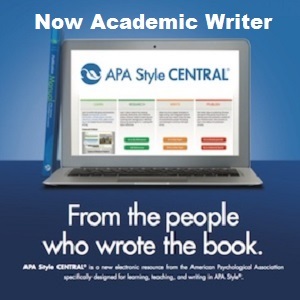 Try the new APA Style Central for all your APA needs and questions. Student help, instructor resources, the APA Manual and other resources, Word templates, and citation formatting. An account is required, so sign up today! "Provides exclusive, extensive coverage of hundreds of today's hot topics, with unbiased analysis and rich related resources." Includes student and instructor resources for writing. If you get a Security Certificate Error when logging into databases, you can Accept or Continue without worry. Depending on your browser you may need to go through several steps to accept the "faulty" security certificate. (See what this process looks like in Firefox.) You should only have to do this once per browser. The problem is under investigation and is being worked on. Update--The certificate errors have (mostly) been fixed. If you still have trouble, please let us know.